What triggered the butterfly effect 50 years before Habiba Msika became the most famous Jewish Tunisian woman in the world, was in fact not a butterfly, but bacteria – the tuberculosis that entered the body of a poor little baby named Edgardo Mortara, born in 1851 to a Jewish family in Bologna, Italy. His Christian loving nursemaid, who could not watch him die, took him secretly at night to the nearby church where he was baptized and – as the merciful nanny hoped – recovered from his illness. As it was illegal for none Catholics to raise a catholic child, he was forcibly taken from his parents, brought up by the church and never saw his family ever again. Though the abduction of Jewish babies was not exceptional at the time, the specific story of Edgardo Mortara was spread internationally, and many influential Jewish leaders such as Moshe Montefiore, were involved trying in vain to help the poor family who was helplessly suffered the cruel injustice done by the church. The “Mortara Case” provoked the rage of Jews everywhere. The Mortara case had long term political implications. The Jewish commonwealth realized that in order to recover political vulnerability of the Jews, a new educational network should be established, that would bring up a new generation of young Jewish leaders. 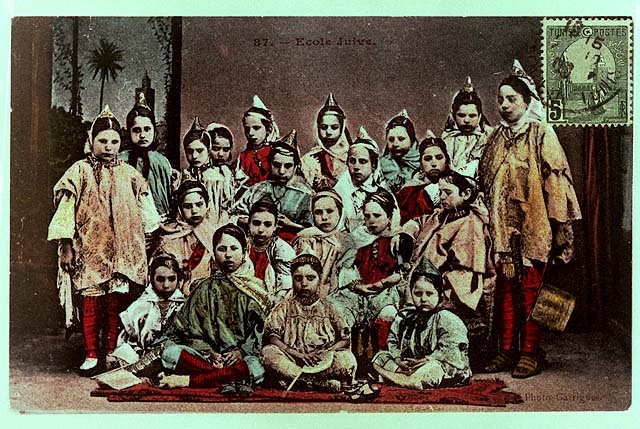 Pretty soon funds were raised, and in 1860 the “Alliance Israelite Universelle ” network was founded, with schools all over the world, that focused on science studies, literature and art, as well as Jewish studies. The teaching language was French, the language of French rule over North Africa since the middle of the 19th century. Historians agree that “Alliance” played a crucial role in exposure of North African Jews to western culture. Thus, the illness and agony of the baby from Bologna and his family were a blessing in disguise for hundreds of thousands of Jewish children rescued from ignorance and poverty two generations later. One of them children was Habiba Msika. 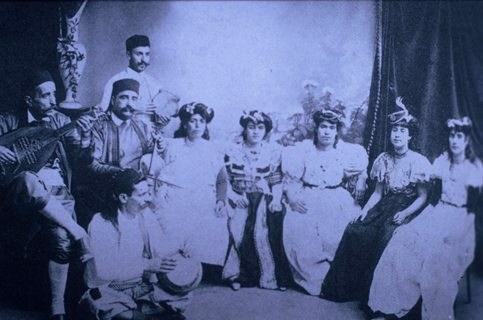 In his book about the Jewish minority in Tunisia, historian Prof. Yaron Tsur notes the critical impact of the “Alliance” school on the character and personality of Msika, and on her sense of pride as a Jewish woman who felt herself equal among equals. Her story is so melodramatic it almost sounds made up. She was a multi talent long before the term was even born, a virtuous singer, gifted actress and courageous woman artist who gained international success at a very young age and led a permissive love life in an era when only men enjoyed personal and sexual freedom. Msika – whose given name at birth was Marguerite – was born to poor parents in the Jewish quarter “Hira”. It is not clear which year exactly she was born, whether 1899, 1900 or 1903. At a very young age her parents died and she was taken in by her aunt. She went to “Alliance”, where she absorbed values of equality and freedom, as well as strong bond with the Jewish-Arabic cultural fusion. A gifted singer from a young age, she started to perform in Jewish weddings, however she had much higher inspirations. When a new Arabic theater was established in Tunis, she hastened to join it. Her popularity as a theater actress took off quickly, the audience loved and adored her, and she started to use the stage name “Habiba”, which means “loved/liked/endeared” in Arabic and in Hebrew, which she used her entire life. Prof. Yaron Tsur notes: “though where were singers with a better voice, and better looking actresses, the secret of her success was in her outstanding charismatic personality and her ability to base warm relationship with the audience. She adapted a bohemian life style and had love affairs with many men, Jews, Muslim and Christian alike”. On top of her love life, which was an extraordinary phenomenon, especially in the Arab society, Msika also broke all other boundaries women were facing. Realizing how powerful her new status as a performer was, she started to demanded high salary, much higher than men singers and actors were earning. 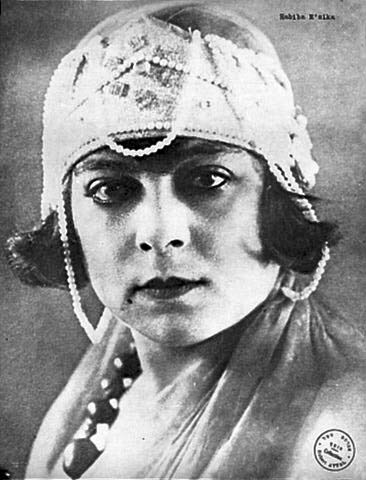 She demanded – and received – lead roles in plays, even masculine roles, such as the role of Joseph in the play “The Selling of Joseph”, fearing not the Jewish community’s response. Her fans called her “Firebird”, and she performed in large theaters in Berlin, Nice, Paris and Monte Carlo. Unfortunately, she unknowingly established the tragic Forever 27 Club (assuming she was indeed born in 1903). Her glorious career was brutally ended by Eiahu Mimony, an older Jewish man who kept wooing and harassing her, though she rejected him many times, until on a tragic February morning in 1930 he broke into her home, poured some flammable liquid all over her and savagely burnt her to death. Habiba’s outstanding career and life story, her sensational performance and world success made her the most famous Jewish Tunisian woman in the world. Many researches, books and essays were published about her, and a documentary film about her life was produced – an honor no other Tunisian Jew achieved. Contemporary culture scholars say that she is still admired among Jews from Tunisia off all social classes, who still get ecstatic from her melismatic tunes in “Yalili”.